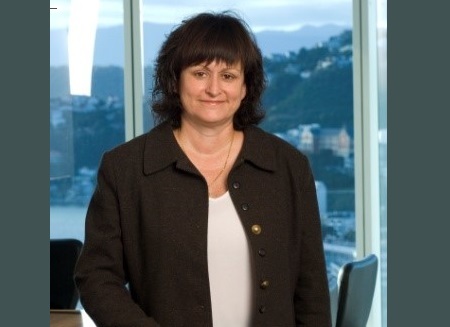 Gail Costa (pictured) is now the chief executive officer of Cigna New Zealand but to get to this position she has worked hard to climb the ranks and earn a name in the international markets. 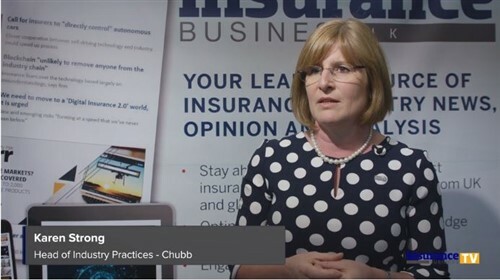 As someone with such a great overview of the insurance market, Gail shares with Insurance Business the secrets to a successful career as well as advice for those wanting to pursue a position in the industry. Gail Costa: I was never inspired – it was my first job and I knew someone working in the industry and they arranged an interview and I got the job. Over the years, I continued to progress in many roles in my career and was supported to do tertiary studies. At the same time, I had some good mentors who encouraged me to both study and to apply for other positions. I did leave the industry for a brief period to “practice” my accounting as I was studying for a BCA/ACA. After four months, I was headhunted back into a senior operations role for a small insurer and I took the opportunity to return to the industry. My career in insurance continued to progress over the following years as I joined Royal Sun Alliance (now Asteron) and then Cigna. IB: You recently re-joined Cigna New Zealand after assignments in Asia and Turkey. Prior to this, you also worked with Royal & Sun Alliance. What have you learned from these experiences and how do these lessons help you now? GC: At Royal & Sun Alliance, I had many different roles and challenges over my 15 years there and had deep exposure to many of the key functions. I also had a mentor who pushed me into new areas and challenged and supported me. These experiences prepared me well to take on the CEO role at Cigna, which was a big career step for me. Cigna is also a company that invests in its people and development and, being a global company, I very quickly got to experience other cultures in the international markets. There was a lot of shared learning and leveraging of people, knowledge and processes. This helped prepare me for the cultural part of working in new markets - but also I think being a New Zealander, with a positive can-do attitude, also helped a lot. IB: Tell us briefly about your company and its role in the insurance industry. How does it differentiate itself from competitors? GC: For the last 100 years, Cigna New Zealand has been protecting New Zealanders. We have a clear strategy of wanting to be the first place Kiwis turn to for their health, well-being and sense of security solutions. To achieve this strategy, Cigna has developed simple, easy to understand and relevant products, supported with a strong claims promise and customer centric processes, people and delivery. At Cigna New Zealand, we’re proud of our award-winning culture, with our people and customers at the forefront of everything we do. We take pride in helping New Zealanders in their time of need, and with the work we do in the community. This includes our sponsorship of Achilles and supporting health and wellbeing initiatives through the Heart Saver campaign, the Cigna Saints, mental health education in schools through Life Education Trust, and running events around the country for example. Cigna New Zealand is part of Cigna Corporation, a Fortune 500 global health service company, with 95 million customers, in 30 countries and more than 40,000 employees worldwide. IB: When you look back at your career, what would you say are your proudest accomplishments? GC: I am most proud of still being around at a senior level after many years and that I have had the resilience to adapt to different markets, cultures and people and be successful. I am also proud of some of the people I have worked with and seeing them progress and develop. IB: What’s the hardest, most challenging part of your job? GC: Balancing work life and… people. People issues still will keep me awake at night. I always like to connect with my people and make sure they are successful, develop and are challenged. IB: Do you have any tips for success, for those wanting to enter this industry? GC: Make sure you move around and get to understand the wider business rather than stay in a function. Invest in your own personal development continually and never stop learning or being open to new ideas. Find a good mentor. IB: What are the main challenges facing the industry today? GC: Increased regulatory scrutiny and ensuring great customer experiences and outcomes are achieved and greater transparency.